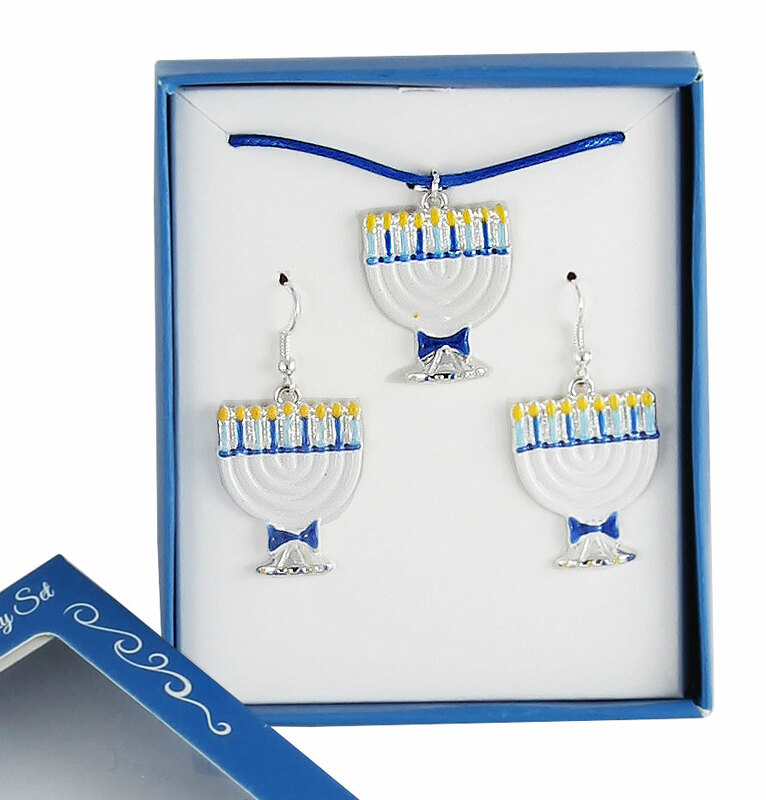 Adorable Menorah Jewelry set. Alloy Jewelry with very fine hand painted details. Chain length is adjustable upto 21"